Host your next private event at Vistro in downtown Hinsdale! Vistro offers a variety of event setting options, and guests enjoy custom menus featuring Chef Paul Virant's renowned seasonal cuisine. 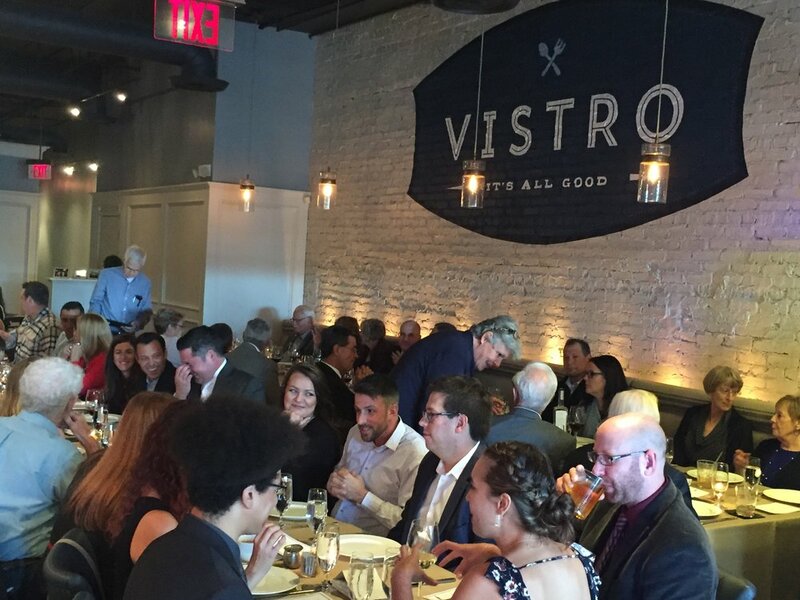 We would be honored to host your next event at Vistro in downtown Hinsdale! Depending on your needs, Vistro offers a variety of event setting options, from the more casual to the formal, and can accommodate many group sizes. Book your event in our bar/lounge area, perfect for mixing and mingling, or reserve the full restaurant. For smaller parties of six to 10, consider our Wood Oven Experience (see below). Don't forget the party favors! Give your guests a taste of Vistro to take home. We are happy to customize favors for your attendees, including a selection of Chef Paul's Jar Sessions and/or signed copies of his cookbook, The Preservation Kitchen. Contact us to reserve your party date and for sample menus, capacity information and more details: (630) 537-1459 or email. We promise to make the planning process as easy as possible and look forward to working with you on your event. Cheers! Perfect for your next social or business gathering! Book Vistro's wood oven chef's table in downtown Hinsdale for birthday parties, book club gatherings, committee meetings, girls' (and/or guys') nights out, corporate outings, anniversary celebrations, and more.